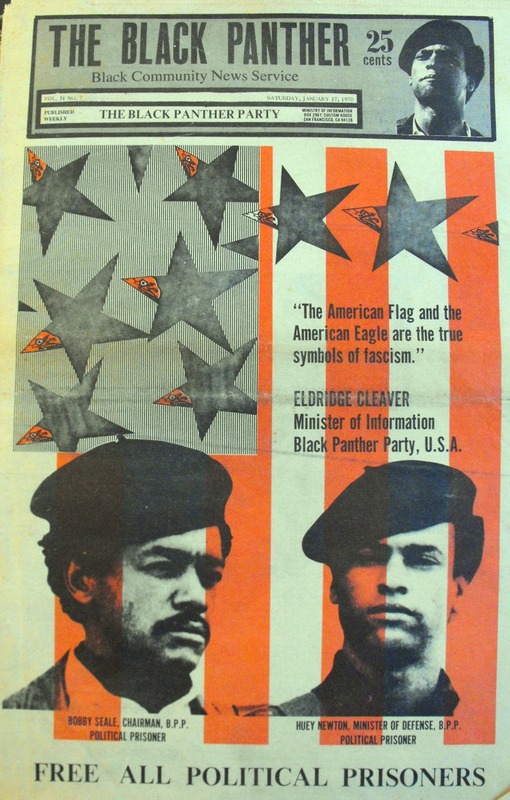 From the 'Black Panther' newspaper, January 17, 1970, adverts for Black Panther Party records. 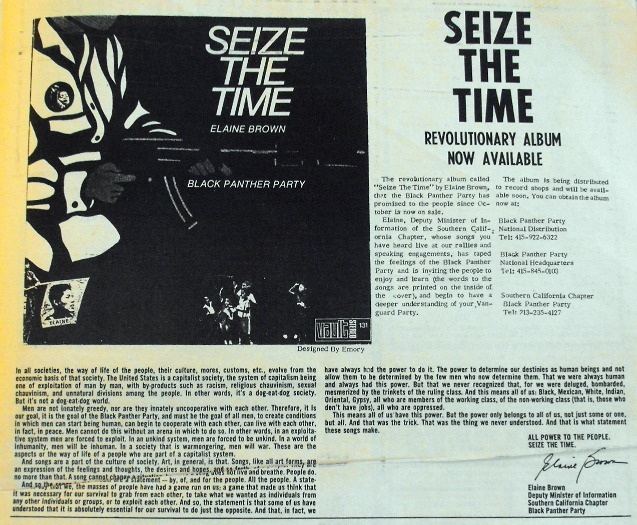 Seize the Time was a collection of songs by Elaine Brown released in 1969, with song titles including Seize The Time, The Panther, And All Stood By, The End Of Silence, Very Black Man and Poppa's Come Home among others. 'songs are a part of the culture of society. Art, in general, is that. Songs, like all art forms, are an expression of the feelings and thoughts, the desires and hopes, and so forth, of a people. They are no more than that. A song cannot change a situation, because a song does not live and breathe. People do. 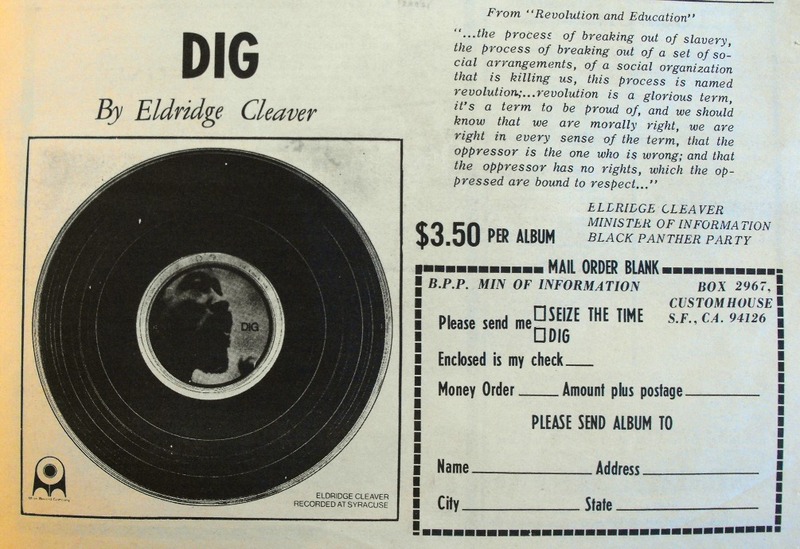 And so the songs in this album are a statement – by, of, and for the people. All the people. A statement to say that we, the masses of the people have had a game run on us; a game that made us think that it was necessary for our survival to grab from each other, to take what we wanted as individuals from any other individuals or groups, or to exploit each other. And so, the statement is that some of us have understood that it is absolutely essential for our survival to do just the opposite. And that, in fact, we have always had the power to do it. The power to determine our destinies as human beings and not allow them to be determined by the few men who now determine them. That we were always human and always had this power. But that we never recognised that, for we were deluged, bombarded, mesmerised by the trinkets of the ruling class. And this means all of us: Black, Mexican, White, Indian, Oriental, Gypsy, all who are members of the working class, of the non-working class (that is, those who don’t have jobs), all who are oppressed. Dig featured a recording of a speech given by Eldridge Cleaver, Minister Of Information for the Black Panther Party at Syracuse University in July 1968. Luc Sante is the 23rd person to complete the Dancing Questionnaire. Luc has written extensively on New York cultural history, and much more, and as you might expect has savoured much of that city's legendary nightlife as well as clubbing in Paris and elsewhere. In 1963, when I was around 9 years old and in St. Teresa's School, Summit, New Jersey, our teacher would take us once a week to the adjacent Holy Name Hall to teach us square dancing. The tune was invariably "The Old Brass Wagon," and Mrs. Gibbs may have sung it herself--I don't remember a record. 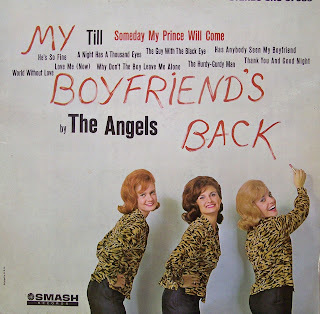 One week, though, she plugged in the jukebox and played "My Boyfriend's Back," by the Angels, and encouraged us to frug. I'm not sure the experience was ever repeated, but it left a permanent mark on me. Oh gosh, that's a tough one... 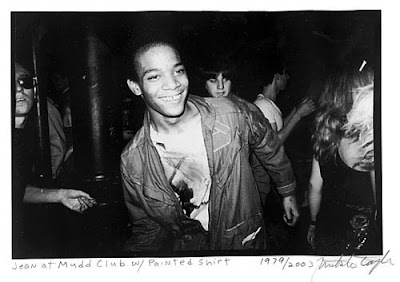 Possibly it was meeting Jean-Michel Basquiat at the Mudd Club, probably late 1978. I swear I knew at first glance that there was something exceptional about him. He moved in with one of my friends, and then another, and he and I were good friends until he became famous, circa 1983. From 1977 to 1982, roughly. Isaiah's, a reggae club in an upstairs loft on Broadway between Bleecker and Bond approx. 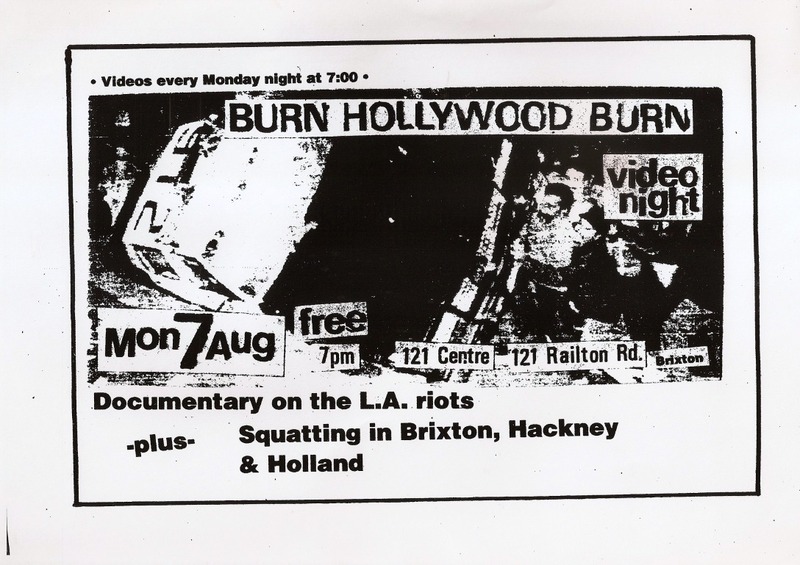 '77-'79; the Mudd Club from its opening on Halloween 1978 until it started getting press three or four months later (and then there would be huge crowds inside and out); Tier 3 on White Street and West Broadway (tiny, but excellent sounds), 1980-81; Squat Theater on 23rd Street around '79-'81, irregular as a dance venue but *the* place for the all-too-brief punk-jazz efflorescence; the Roxy around 1982--a roller disco that once a week would become a sort of hiphop-punk disco, often with Afrika Bambaataa on the decks. And sometime around '77 or '78 a gay friend once took me to the Loft, which I'm sure you've read about; it fully lived up to the hype. White people attempting to dance to white rock, pretty much always the case until 1973 or so, when a great many people of my acquaintance suddenly "discovered" James Brown. And then the last three decades, when dancing opportunities have been few and far between. My first real dance experiences were all in gay discos, early '70s (I'm straight, but had a gay best friend): the (old) Limelight on Sheridan Square, Peter Rabbit's on West Street, and the amazing Nickel Bar on 72nd Street - where Robert Mapplethorpe, among others, would go to pick up young black men, and where the level of the dancing was so amazing I didn't dare attempt to compete. Summer of 1974 in Paris: Le Cameleon on rue St.-Andre-des-Arts, a tiny African disco in a barely ventilated cellar - but it was the summer of "Soul Makossa." Nine years later I was back in Paris and Le Cameleon had moved to a much larger aboveground space--an exhilarating experience. Also, besides the venues noted in #3, the Rock Lounge (sleazy, but good music) succeeded in the same space on Canal Street by the Reggae Lounge, circa '82; the World on 2nd Street a few years later (too sceney for words, but you could shut your eyes); assorted after-hours spots such as Brownie's on Avenue A (not to be confused with the legit rock club of the same name that succeeded it), although drugs were more of a priority than dancing or music in those places. Post '83 I can only remember the short-lived but excellent Giant Steps--a jazz disco--and a series of retro-soul clubs (don't remember their names, alas). The New Year's Eve before last, a private party in Tivoli, New York, a pretty good techno mix. Tie: "One Nation Under a Groove," Funkadelic; "Got to Give It Up," Marvin Gaye. Nostell Priory Music Festival was held near Wakefield in West Yorkshire in 1984, a commercial festival with performances from Van Morrison, The Band, The Danmed and many others. It was also the scene of a violent police operation against the Convoy of festival travellers that prefigured the notorious Battle of the Beanfield in the following year. 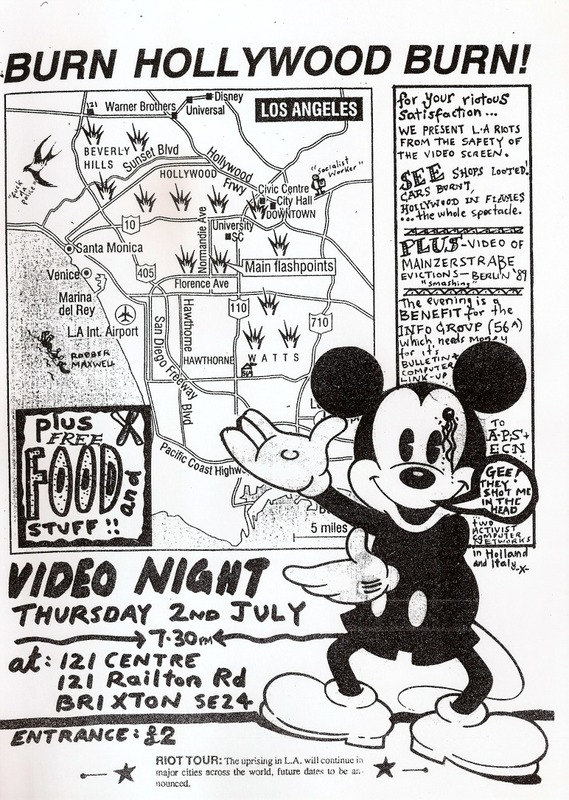 The Convoy had emerged from the UK free festival scene in the late 1970s, as a nomadic community moving between festivals in trucks, vans and converted buses. For many travelling became a way of life all year round, not just in the summer festival season with the term New Age Travellers being invented to describe them. The name 'Peace Convoy' became attached to the Convoy as the peace camps at Greenham Common and Molesworth cruise missile bases became added to the itinerary. 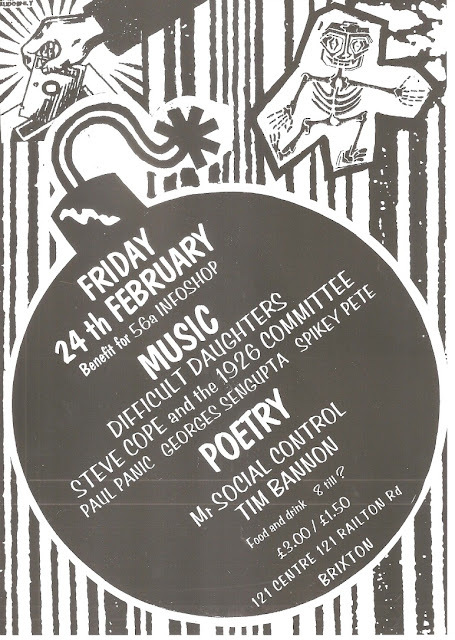 For instance in 1982, the Convoy arrived at Greenham and occupied land for a 'Cosmic Counter-Cruise Carnival'. Thus the Convoy was lined up in the Thatcher Government's sights as part of The Enemy Within, along with striking miners, peace campaigners, Irish republicans and other dissidents. At Nostell Priory, as at many other festivals including Glastonbury in that period, the Convoy has established its own more anarchic area on the edge of the commercial festival. As the festival came to an end, riot police raided the site, arrested 360 travellers (almost all present) and trashed their tents, benders and vehicles. Many of them were remanded in custody for up to two weeks - including in an army prison - before being convicted by magistrates on various trumped up charges. 'It was the time of the miners’ strike, and the police had been herding them off into a field and battling it out with them. When the police steamed into Nostell Priory, they were fresh from beating up this bloody mega-wodge of miners. The first we knew of it was about half past eleven, when Alex came steaming past my gaff shouting, ‘The Old Bill’s coming up!’ As I leapt outside and looked up this huge field, there was these great big blocks of bobbies, just like the Roman epics, at least four or five hundred of them. 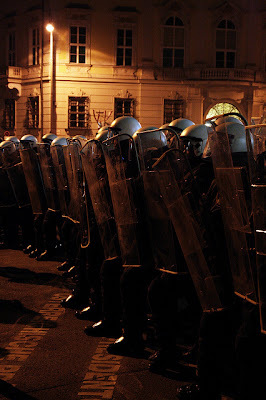 And they came charging across the field towards us, with these batons banging on their riot shields, shouting a war cry. Oh, my goodness! They surrounded us just right of the marquee. At that point we were well and truly sorted. As I say, they had these mega bloody riot sticks, and wagons chasing through the site running into benders. Now they didn’t know whether there was anybody in these benders, and they’d run into them at high speed, just loving the way that they exploded. The tarp and all the poles would blow out, scattering the contents all over the place'. Interestingly in terms of what we are beginning to find out about police infiltration of movements in this period, Phil recalls that undercover police were also active in The Convoy: 'The other thing that went down: these guys that looked just like us — there was about seven of them. They’d infiltrated us that summer and done a bloody good job. They’d been wheeling and dealing along with some of the other lads that did that kind of thing. As we’re surrounded, people are getting these lumps out of their back pockets and shoving them to one side. They were arresting us — arm up the back — and filing us out through the crowd and pushing us into the main bulk of the bobbies with the tackle'. 'Previously the Convoy had been told by the police that there would be no trouble, as long as they moved on peacefully and got out of Yorkshire. It then seems likely, after a report that the Yorkshire police chief said that "they were powerless to act against the Convoy" that Thatcher hit the ceiling, and demanded action. Next morning at 5 am, 3 coaches and 10 van loads of riot police surrounded the camp. As the Convoy retreated to the Marquee the police trashed their vehicles, smashed windows, tearing out wiring with the excuse of looking for guns. There were no guns. They then demanded to talk to the Convoy's leader 'Boris'. They had got that wrong too. Boris is the goose. The Convoy started quacking. But they were surrounded... [later] Back at the site, a scene of wreckage, the Convoy who had just donated to the miners, were helped by them with food and tools to mend the vans and 45 gallons of diesel, and gave their addresses for bail' (Convoy Arrested, Green Anarchist, Nov/Dec.84). BBC Radio 6 have been having a Kraftwerk-themed weekend, based on the rather slender premise that it is the 30th anniversary of The Model getting to the top of the British singles chart. 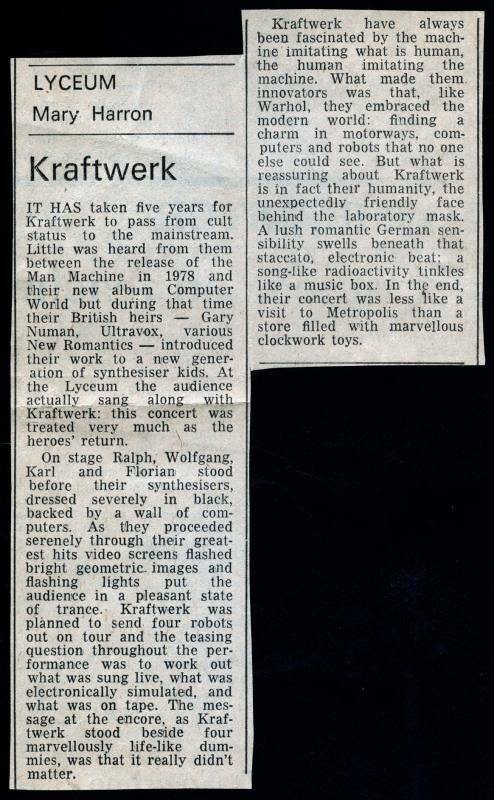 The track was actually recorded in 1978, but got a new lease of life and a number one hit in February 1982 on the back of the British synth-pop boom - which Kraftwerk were of course a big influence on. I saw Kraftwerk play in that period and it was certainly one of the most memorable gigs I have attended. Live performances by the band in Britain were rare, and their gig at the Lyceum on 28 June 1981 was their first appearance in London since 1976 (and indeed only their fifth gig ever in the city). They were in the country as part of their 'Computer World' tour, the album of that name having been released in May. Four London gigs took place - one at the Hammersmith Palais and two at the Hammersmith Odeon, but it was the first at the Lyceum that I went to. I can still vividly remember scenes from this gig, starting with the line of glamorously dressed new romantic blitz kid types outside the venue. There were the screens showing railway tracks during Trans Europe Express; the mannequins on stage during The Robots and most of all Pocket Calculator, where the four members of the group came from behind their machines and stood at the front of the stage with miniature electronic devices. In an act demystifying electronic music making they let people in the crowd generate sounds by tapping the keys on a wired-for-sound calculator. Arguably this was the group at their creative peak on the back of three classic albums - Trans-Europe Express, Man-Machine and Computer World - all of which they drew from at the gig. 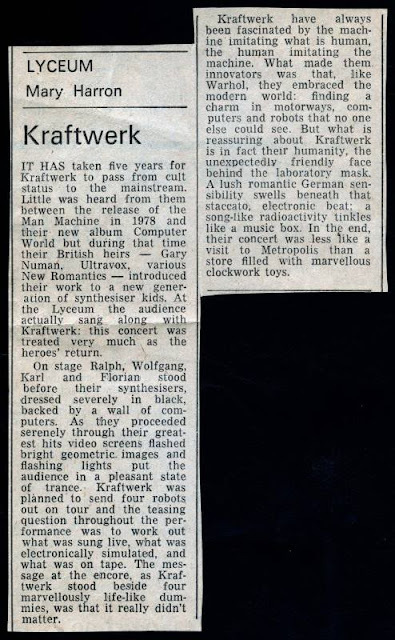 Mary Harron reviewed the gig in the Guardian: 'On stage Ralph, Wolfgang, Karl and Florian stood before their synthesisers, dressed severely in black, backed by a wall of computers. 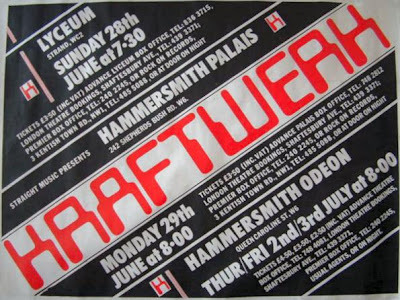 As they proceeded serenely through their greatest hits video screens flashed bright geometric images and flashing lights put the audience in a pleasant state of trance... their concert was less like a visit to Metropolis than a store filled with marvellous clockwork toys'. Those marvellous toys had a fascination of their own - in that period most of us had never seen a computer outside of a special room at school. Synthesisers were becoming more accessible, but were still relatively rare. The school friend I went with actually made his own synth from a kit. I haven't seen him for years, but a quick search shows that he is now a professor at Oxford University with research interests including 'Phonetics, speech technology, laboratory phonology and computational linguistics' - how Kraftwerk is that?! 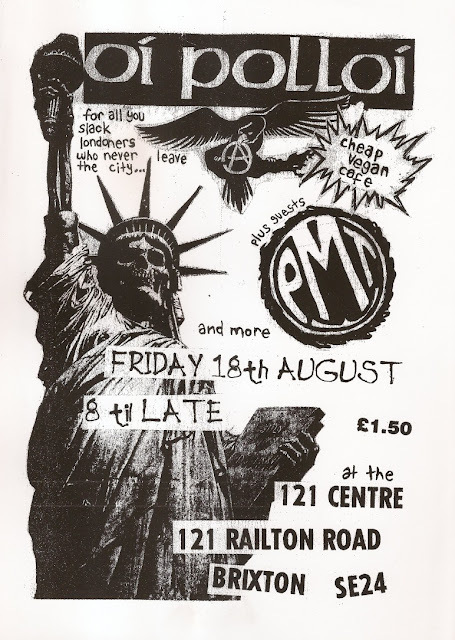 Steve McMahon, who was also at that gig, recalled: 'The Royal Wedding was about to happen and the riots in Toxteth – when me and my school mates went to see Kraftwerk play at the Lyceum in London. I seriously think that barring Iggy Pop a year later, at his drug addled most bizarre, this was one of the best gigs I ever went to'. Like Laibach later, Kraftwerk played around with totalitarian imagery such as uniforms which sometimes confused those who didn't perceive how they were subverting it with a critical intelligence. In a rare UK 1981 interview with Manchester's Beacon Radio, Ralf Hütter gave an insight into their thinking at that time: 'unfortunately a lot of control-oriented people have been using computers to store other people's data and take advantage of it. We didn't like that too much. In Germany there's very strong state control, a very strong bureaucratic system. The BKA have, I think, millions of people's data stored. This made us very upset. We're more concerned with working with computers in other directions: more creatively or productively, and not leave it to these kind of people who are only into compensating for their lack of love or personal acknowledgement. We are more interested in cooperating with computers as an extension of the creative side of the human being. Which I think is more the way society should be going: being more productive in expressing your ideas and fantasies and wishes, or visions. Anything that could help in making society a better place to live in, you know? And we feel we're only just starting to go in this direction, with the help of musical machines, computers or whatever it takes to put ideas across to other people. Communication between people in the technological society is what we are about'. In the same interview he described 'The Man Machine' as being partly about 'certain aspects in society where people are mechanically reproduced, or bought and marketed, or robots: the original Russian word "robotnik" means "worker". That's really our identity, what we are'. Intriguingly he also said 'we're very much into situationists, so what we do now, and the next few steps, is what we're concerned about'. In 1981, nobody was name-checking the Situationist International in the media - was this really who Hütter was referring to? I wonder. If Kraftwerk's influence in 1981 was particularly felt in the post-punk electronic scene (the Human League, Soft Cell, Cabaret Voltaire etc. ), it was soon to spread even wider. 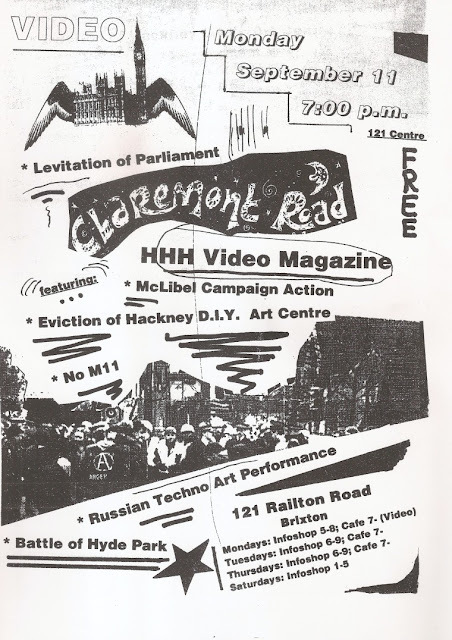 A year or two later I remember hearing Afrika Bambaataa's Kraftwerk-sampling Planet Rock for the first time under the Westway at Notting Hill Carnival. Electro-funk, techno and so much more was to follow - but that's a whole other set of stories. The WKR-Ball in Vienna is an 'The annual ballroom dancefest of Austria’s pan-Germanist, far right student fraternities in the former Imperial Palace and official residence of the Austrian president in Vienna' (Martin Jordan). It has been going on for more than fifty years, and this year fell on International Holocaust Remembrance Day (27 January), a date that also marks the anniversary of the liberation of Auschwitz. Guests included Heinz-Christian Strache, leader of the Austrian far-right Freedom Party, and Marine Le Pen, the leader of France's National Front. The venue was protected by riot police from counter-demonstrators who blocked streets, delaying guests gettting to the ball. 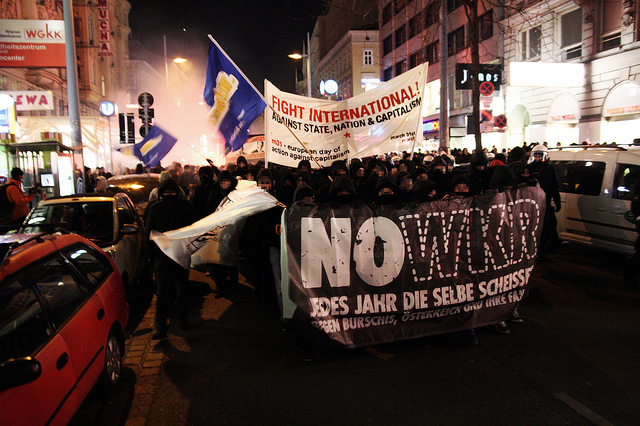 Anarchistische Gruppe Freiburg report that 'A large coalition of leftist and radical leftist groups mobilized on the same evening with a mass demonstration held against it. From Germany, several buses were organized to Vienna. The bus from Frankfurt was pulled shortly after the border in Salzburg by a large contingent of police... All passengers were searched and photographed. On the left-wing demonstration, which went from Westbahnhof to the Hofburg, about 1,800 people took part... At the end of the demonstration.... [there were] numerous direct actions, blockades and attacks on fraternities, Ball guests and neo-Nazis... In total 21 people were taken into custody'. Austrian fascist leader Strache has sparked outrage with comments he made at the ball, comparing the protest to the nazis' "Kristallnacht" pogrom and telling his supporters "We are the new Jews!". A placard on the demo declares 'Don't dance on my grave! Teenbeat Monthly was one of the wave of 1960s UK magazines published as part of the beat boom (see also Rave magazine). 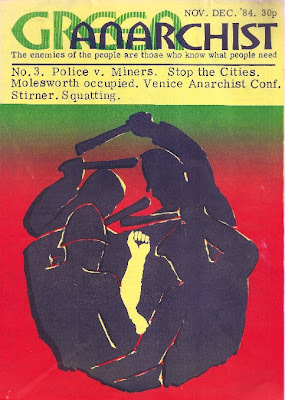 A friend found a copy of the 1966 Teenbeat Annual in a skip in New Cross and passed it on to me. The Annual promised the 'Big Beat Star Parade', and featured The Rolling Stones, Beatles and Kinks on the cover, with features inside on them and many other bands from that period (Swinging Blue Jeans, Searchers, Yardbirds etc.). Teenbeat was edited by Albert Hand, who also edited Elvis Monthly and the Elvis Special Yearbooks. Every band featured seems to be composed entirely of white blokes, hardly reflective of some of the great music of the day. 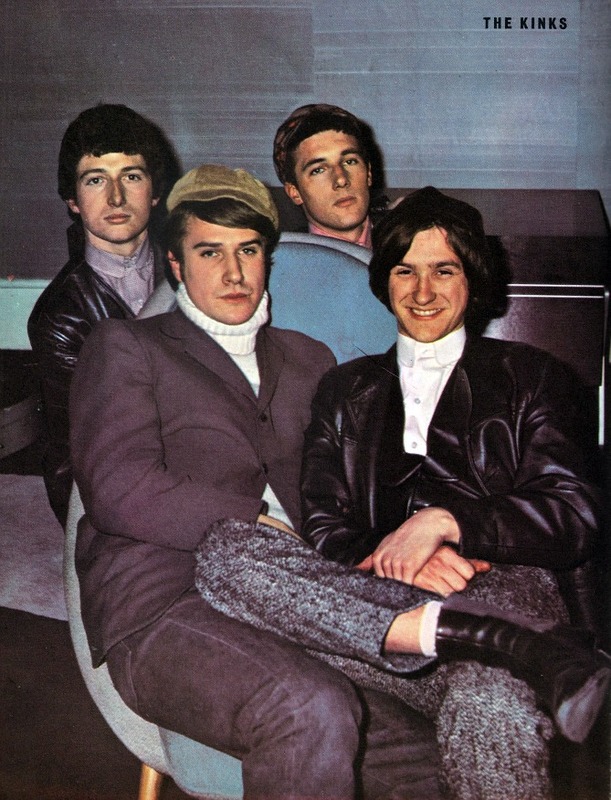 Still I love this great picture of The Kinks.